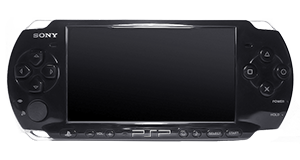 There are no solved problems listed on our records for this Playstation Portable game. To submit a problem or give a solution for an unsolved problem, please see the list on the right. There are no unsolved problems listed on our records for this Playstation Portable game. To submit a problem or give a solution for an unsolved problem, please see the section below. All problems on this page have been submitted and answered by users. If you have a problem with Konami's Metal Gear Acid 2, please submit it below and we'll post it here. If a game isn't loading, check for dust or dirt in the card slot. Memory cards can fail - try to back up your saved games if you run into persistent problems. Over the Hedge: Hammy Goes Nuts! Holy Invasion Of Privacy, Badman! What Did I Do To Deserve This?